There's something new happening in the world of SEO who have to keep themselves updated with the latest trends in the field of local search engine optimization. 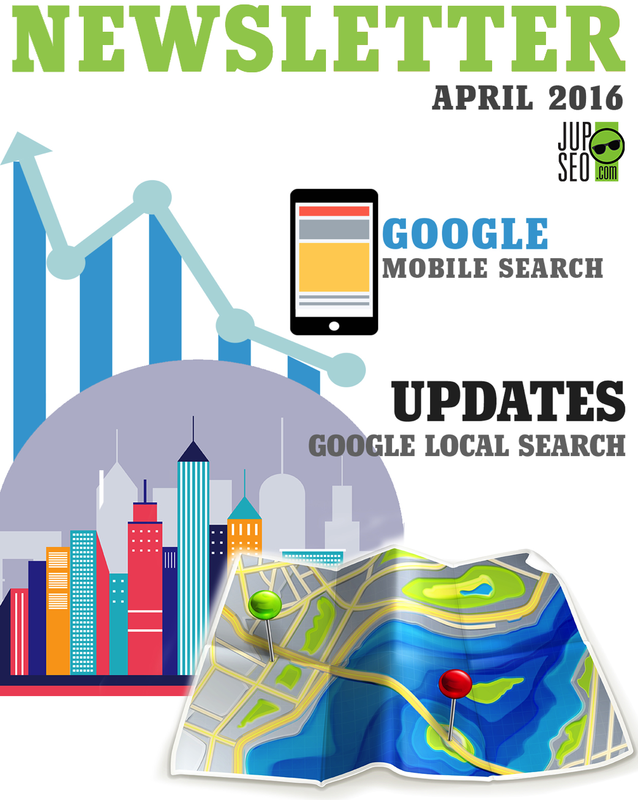 And like we did in the previous month, we would like to update our readers with what's the latest in-thing in their Local search ecosystem for April 2016. 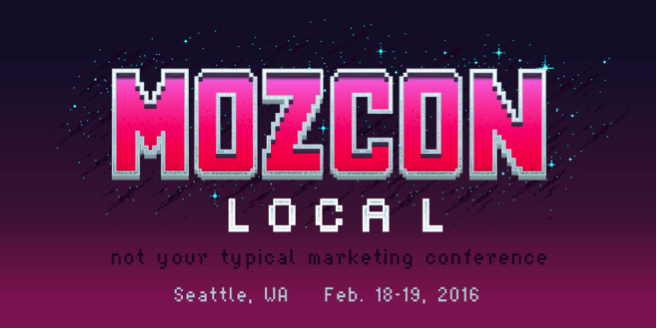 • To get some idea about the latest happenings in the world of local SEO, viewers can also check these informative presentation links taken from the recent MozCon Local conference held in Seattle. − Competitive analysis using a real life example. − Darren Shaw's Citation Investigation presentation. − Whitespark's Jessie Low's post on finding link opportunities. − Nifty Marketing's new Link Guide for local businesses. • If you previously used Google locations for business or your Google+ account to manage your business information, you'll notice that your account has been automatically upgraded to Google My Business platform. This was a much needed update for businesses as it makes them easily accessible on Google including Google Search, Google Maps and Google Plus. Using the bulk upload feature, businesses can bulk upload their business information such as their company logo, business profile including their photo and the other requisite business information. Google My Business Advertisers are going to love this new feature. • Google lends it's artificial intelligence touch to Google Photos, making it easier for you to determine where an image was taken and in the process saving you a lot of free time on doing any location search. • SEO's often find it difficult to explain the concept of developing city based landing pages to their clients. If you're one of them who turn blank out of fear of the local landing pages then Miriam Ellis through her 8-point step-by-step information advices SEOs about the Do's and Don’ts to follow to make web pages more productive than ever before. • Businesses often find it surprising why Google keeps on updating Business Hours. If you're one of them who find it hard to digest the fact how your business hours keep on changing, Colan Nielsen through a case study reveals the secret behind the unofficial change in your business hours. • Google's AMP project for mobile has recently gone live. But due to lack of information, there are some Businesses who are linking the AMP project to another Mobilegeddon update by Google. Well, if you too think that way, Adam Dorfman's article provides you with a brief information on Google's AMP project by answering five critical queries related to the Google's AMP project. In his brief article, he enlightens you with the basic knowledge about AMP- What is AMP and its benefits? How is it different from Mobilegeddon and can help marketers? • Local Restaurants are reportedly paying up to 30% commission to Seamless (a site owned by GrubHub) to get more eyeballs on their offerings. According to GrubHub, it drove nearly 2.4 billion dollars in sales for their chain of local restaurant partners. • Given a chance, would you like to convert your existing phone number into a call tracking number? The number portability deal includes all the benefits of call tracking feature sans no negative change in your NAP consistency citations. Chances are that most local businesses will opt for that feature and if you're on the same page then Whitespark's informative post will provide you more insights on what you need to do to get one for your business. • Generally, Businesses have no idea about what their online consumers look for in a website while seamlessly moving from one site to another. In terms of on-site engagement, consumer behavior tends to change from one site to the another. Businesses want to know whether this shift in consumer's onsite behavior is due to their overall site experience, lack of content or something else. 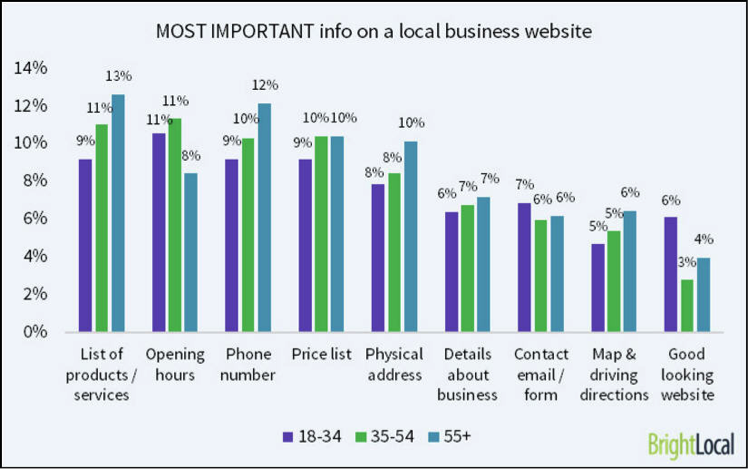 If that is the case, you need to observe the Myles Anderson's recent survey report, which studies the consumer's behavior pattern in terms of what they expect, want and don't want from sites including consumer's preference to contact a local business after visiting it once online. • The visibility of your brand plays an important role in determining the overall success ratio of your business. This is why you need to make use of customized SEO services that best matches your business type. And to do that well, Moz's Miriam Ellis gives a brief account of the checklist for new and existing entrepreneurs as a reference to up their visibility factor in the local Google searches. • Over the years, we have all loved using the voice enabled services of the virtual search assistants like Google Now, Siri and Cortana. This behavior is also quite evident in the overall impact of the virtual search assistant is having on the global search volume. Statistically speaking, last year Google Now, Siri and Cortana assisted searches contributed to 10% of global search volume. In other words, voice searches are contributing almost half of the billion searches conducted every month. The lsainsider study on the overall impact of virtual search assistant and artificial intelligence on the searches throws more light on the subject at hand. 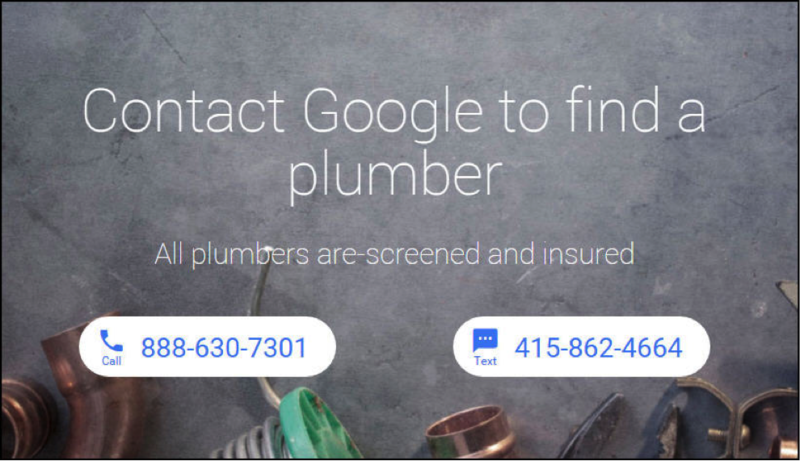 • Google conducted a new experiment recently by replacing its maps and home services ads altogether with the Google's Home Services Concierge Ads and in the process invited searchers to directly call or text Google to know best plumbing service provider in their vicinity. This was a welcome initiative by Google but it also indicated that the search giant is not at all happy with its SERP capabilities and trying to move away from its searches. • From the position of being operational to get converted into just an add-on feature, location based marketing services have indeed come a long way in their five odd years of search existence. Initially, companies such as Foursquare, SCVNGR, Gowalla and Whrrl made use of the feature to some great marketing effect but with time it's now Foursquare which is currently using the feature more like Yelp does. And if you need more information about the future of location based services, just go through the article by GasBuddy's Mike Schneider to know what lies ahead for the industry. • Consumers have a vast ecosystem in the form of search engines, platforms and apps to search for brands in the marketplace. So, if you're searching for medical assistance or know the nearby restaurant then you can bank on Google app, Foursquare, Yelp, or an Apple Spotlight Search feature. All these are sources of data amplification which assumes importance owing to the complicated nature of the “near me” searches. The picture becomes even more complicated with many businesses trying to seize these “near me” moments. If you want more information about what lies ahead for the industry, Gib Olander has some piece of advice on this subject for you. • Google always try to do the catching act with its competitors. And this time it's no different. Google recently inducted a new feature in its Google Map mobile App that allows users to share images along with their reviews by making use of the Google Local Guides. • Looks like exciting times for Travel enthusiasts as the vacation rental portal AirbnB is planning to add on to its travel services. Following the footsteps of Amazon and Yelp, the company has been experimenting a bit by allowing users to book an add-on travel service such as providing home cooked meal as an add on or something that's not on offer in the marketplace. • Businesses in search of more links will love this feature. HARO - Help a Reporter Out offers opportunities for businesses to earn local business links. Only thing is that your pitch needs to strike a chord with the reporter enough to get him interested. But if you're short on ideas, Wes Micholosky's article tips you how to do it the right way. • Google has a caution word for SEO's, who are reportedly spamming Google Maps while optimizing their Google My Business listings. Joy Hawkins in the brief article advices businesses to adhere to Google's general guidelines when optimizing their Google My Business Profiles. • Ending on the lighter note, Google recently was at the receiving end, when a Texas based demolition company reportedly claimed that they went on to destroy the wrong house as per Google Map's suggestion. On the other hand, Microsoft has to smack the stray artificial intelligence bot, Tay, that it sends out to learn how to speak like a Millennial. After several rounds of media speculation, Google finally revealed the secret of what it takes to come out on the top of Google's SERPs. Yes, you heard it right. The secret recipe is the top three search ranking factors that can power businesses on Google's Top Searching Ranking position. During WebPromo's recent Q&A session, Andrey Lipattsev, Search Quality Senior Strategist at Google went on to confirm that content and links pointing to a site are indeed Google's top two contributing search ranking factors, irrespective of their ranking order. 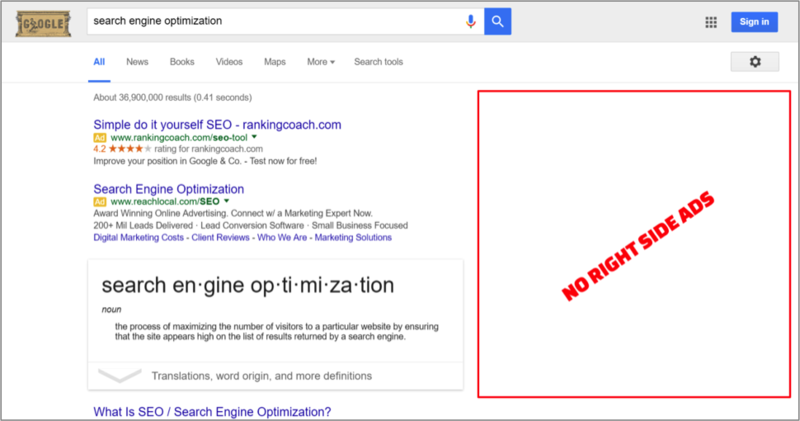 These two factors were revealed by Lipattsev in response to a question by SEO expert John Ammon. RankBrain is assumed to be the third most important factor that impacts your search ranking position. Frankly speaking, it hardly is a secret that content and links continue to be among the key contributing factors that can power any site to the top of Google's SERPs. This news comes as a breath of fresh air for businesses which run after SEO services after every single algorithm update by Google. Lipattsev elaborated further that there's no magic formula to come out on top in Google's searches. But it is a combination of factors that can power businesses in their quest for search ranking excellence. Keeping pace with its ever-evolving algorithm updates, Google hopes to make RankBrain AI technology future perfect, in terms of better understanding of international languages; especially since mobile searches are now more dominant than desktop crawls. 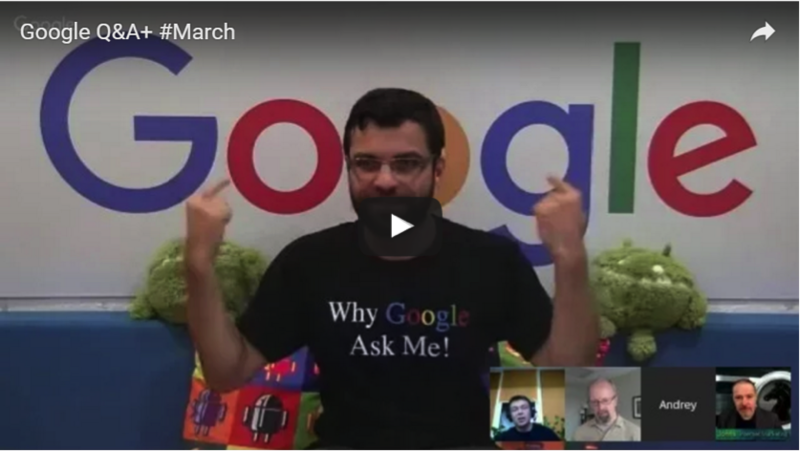 For further information on the ranking factors, you can watch the full Q&A video session below, involving Google's Search Quality Senior Strategist, Andrey Lipattsev. With respect to this topic, below are the best practices which we always follow (and which Google also recommends) to rank your website. • We don’t use spun content – either on the website or for article syndication. We make sure that the content is 100% unique. For article syndication, each article is submitted only to one site to avoid duplication. • We always stay away from creating spammy content and avoid stuffing keywords. We make sure to limit the “keyword density” to 3% to 5% which is widely recommended. • We never recommend Non-Search Engine friendly redirects and cloaking. • We do not involve your site in questionable linking schemes including cross-domain linking, links from low quality sites, links from spun articles, etc. • Excessive on-page optimization is something that we have always stayed away from. We make sure to optimize page titles, meta tags and content in a search engine friendly way. • We are already integrating social sharing elements such as Google+, Twitter & Facebook on all websites. So With social signals such as 1+’s and shares from Google+, Google can easily keep a check on the spammy websites, as the possibility of one sharing them (spammy site) socially is low. 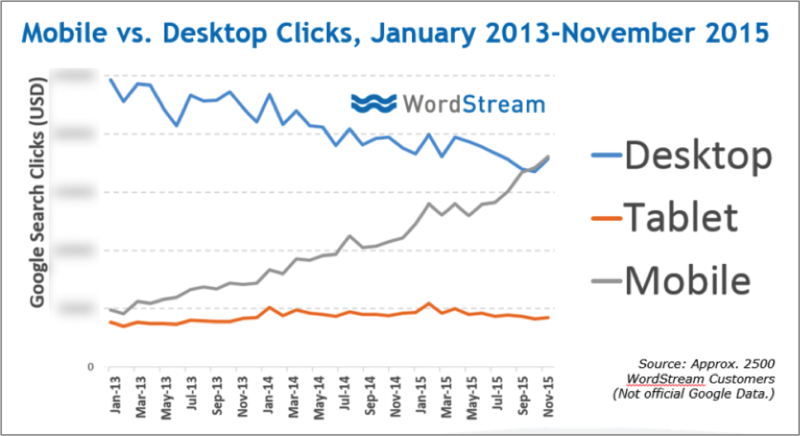 Last month, Google surprised it's Advertisers by doing away with the Ads on the right hand side of its desktop SERPs. Barring the Ads on the Right hand side, there were a few changes that Google brought in to replace the Right hand side Ads, which the online businesses need to be aware of. The Search industry took notice of these changes made by the search giant, which then led to some industry speculation that how much of the CPC boost that these changes will bring about. Some Industry specific people are of the opinion that Google had brought about these changes especially to target the SMEs. After a month into the change, the data shows a completely different picture (barring some minor changes) of what was touted to be the biggest Advertising move in last ten years by Google. The Click through rate has gone up mainly thanks to the numerous industry specific WordStream accounts which ensured that there won't be any single dull moment as far as on-site traffic is concerned. Picking the right Ad spot does matter and sometimes you need to think out of the box to be on the top. 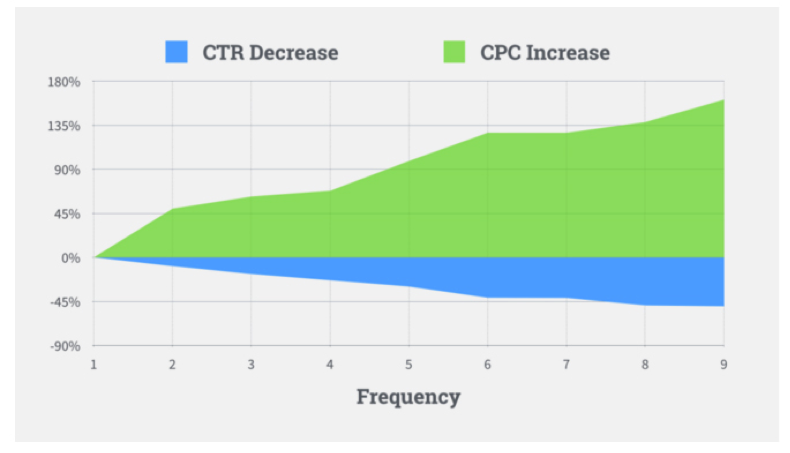 As contrary to popular belief, People expected more clicks on Ads placed in the fourth position in the organic SERPs but in after the loss Ad space, Ads positioned on the 3rd position received more clicks in the last month's data report. On the basis of the above prediction, many businesses feared that loss of the ad positions would actually mean higher CPC count. Post new Ad pattern rollout, CPC count didn't witness any surge but contrary to the prediction went down by some margins as seen below in the charts. Much to the relief of the PPC marketers, the overall traffic to the site remained steady for a large part of the previous month. This suggests that there's surge in the CTR count. With the click count remaining constant, it boils down to number of impressions received. In the pre-Google Ad change scenario, one could possibly count as many as 11 ads for each SERPs listing but the exclusion of the Ads on the right side left us with only seven textual ads in the desktop SERPs. 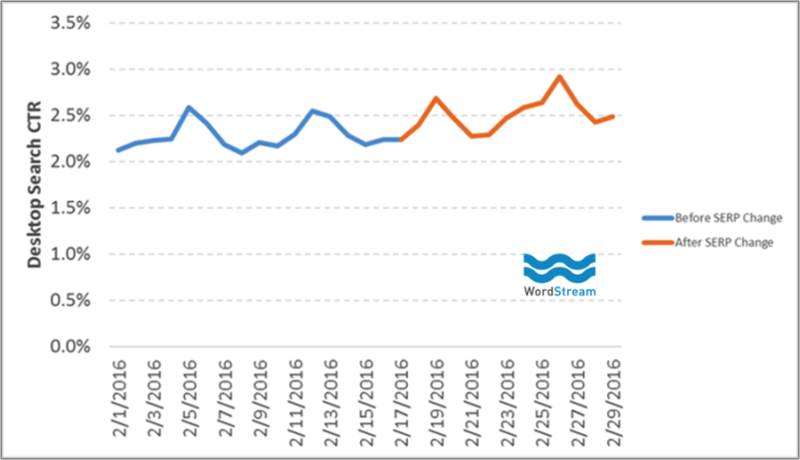 Fewer Ads in the desktop SERPs led to the decline in the number of visible ad structure. But fewer ads in the desktop SERPs affected the performance of businesses that ranked eight or lower in the search ranking. But as predicted, this isn’t a huge impact considering the fact that 8–11 search ranking positions contributes as little as 0.2% of the overall desktop search impressions. Either you win or lose in any given situation. To figure out the winner, we'll review only those accounts which went on to suffer because of Google's move to get rid of right side Ads in the desktop SERPs. Let’s review the plight of one advertiser from financial sector, who had to suffer because of Google's monogamous attitude. 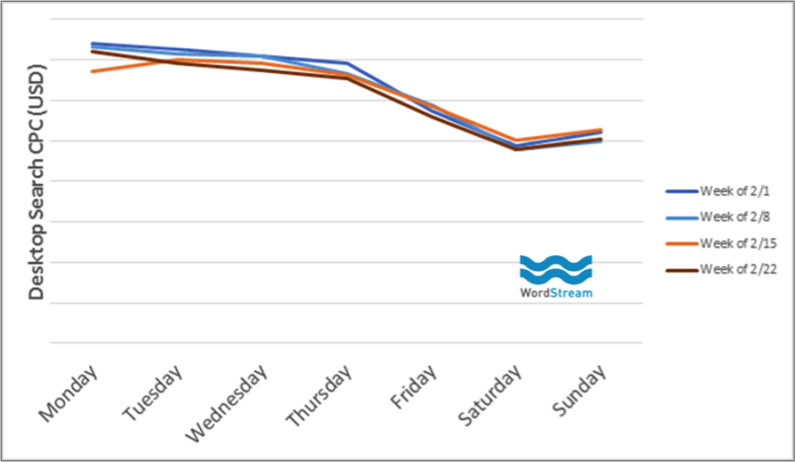 Before the change, their average search position was little over 8 on the desktop SERPs. Post new Ad rollout, they were nowhere to be seen in the searches and as result lost out on 80% of their visibility count on desktops. Surprisingly, their CTR count was more than twice than the previous one. 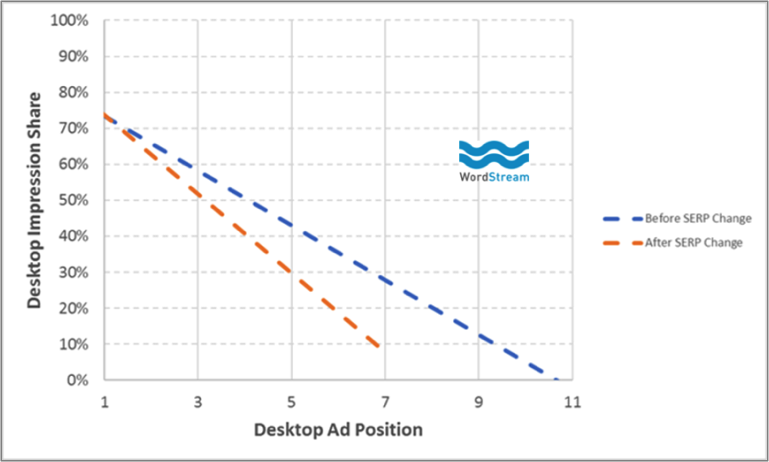 The desktop clicks count of the advertisers took a beating and fell 4 points to be at 22, which resulted in the loss of 15% clicks count on the desktops. Interestingly, their CPC count post Ad change surged to $0.69 from $0.53. 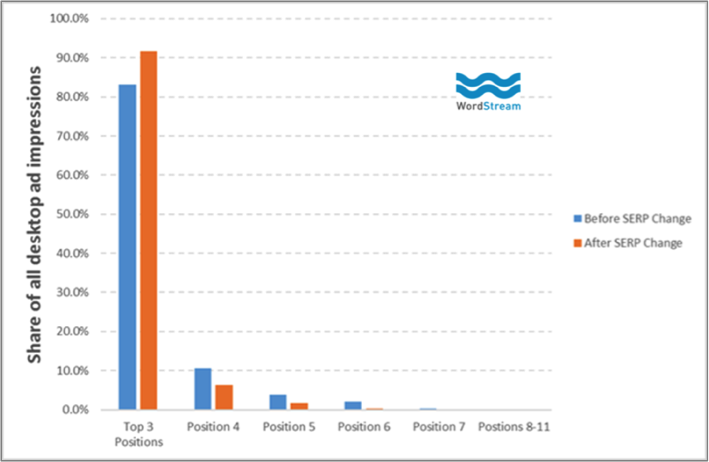 As a result, their average search position post change fell to 4.3 from over 7. So, you see it's not such a bad situation to be in even if you end up as a loser. In fact, post this big change in Google Ads, the advertisers spends $0.16 more on every click to be on the more visible space in the desktop searches. 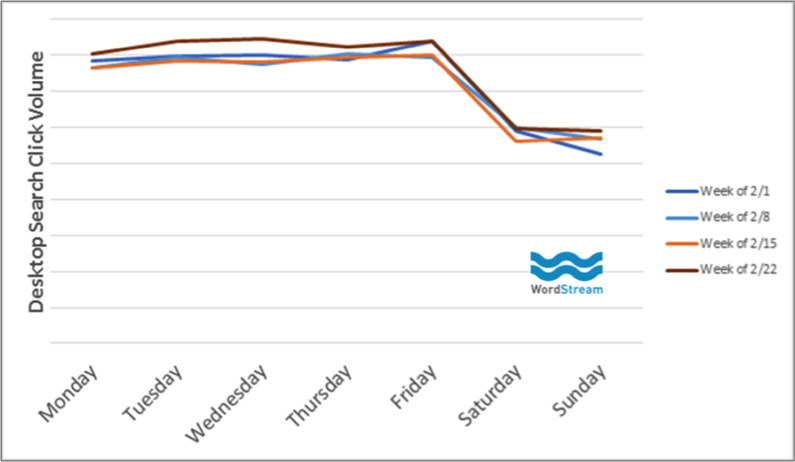 Despite that it's heartening to see an Advertiser do so well on the back of the average search position of hovering over 8 especially when Google decided to get rid of 8–11 positions from the desktop SERPs. Businesses can take heart from the fact low search visibility doesn't really mean that you may end up losing on every count and winner doesn't need to be scoring heavily on all fronts. Contrary to the above prediction, below mentioned are some of the conclusions that are drawn after a month of observation post Google's new Ad roll-out. • A large number of advertisers are coping well with the change in the Ad pattern. • The loser possibly comes from the bottom ranked positions especially from 8–11 previously ranked search positions. But there aren't too many businesses on view that are worst affected cases of Google's new Ad roll-out. At the end of the day, the change affects your performance only in the desktop searches. These stats become completely useless, when considering the fact that Google now lays more importance on the mobile searches than the desktop crawls. To wrap it up, as search marketers you're expected to expect the unthinkable from Google's unpredictable monogamous rule. Businesses don't need to press the panic button every time Google comes out with some changes. Bad memories of past year are coming back to haunt you. Well, there's some bad news in store for those businesses who have just resurrected their online presence to make it mobile friendly, post the April 21, 2015 Mobilegeddon effect. Google, in its efforts to make the virtual world a more mobile - friendly place, is coming out with the second part of the 2015 Mobilegeddon update. Last month, Google came out with an announcement in the webmaster central blog with a headline that says, 'Continuing to make the web more mobile friendly'. This is a wakeup call for businesses, especially SMEs who have somewhat neglected their site's mobile friendliness parameters. There are chances that these businesses may end up losing their search ranking positions to their immediate competitors. If you're one of them then now is the time to act, as Google will reward only those businesses with Top Search Ranking Positions who enhance their customers' mobile experience. Besides that, there are also some smart businesses which have opted for a responsive web design for their online presence, thinking that they are one step ahead of the search giant. They think it doesn't matter what Google throws at them now. You can term it as lack of awareness or over-smartness, but the fact is that not all responsive web designs stand a chance to qualify for the mobile friendly label by Google. To be on a safer side, it is recommended that these businesses cross-check their site's mobile friendliness quotient here. Here's a quick list of facts about the upcoming mobile update that the businesses need to watch out for. • The update contains page-by-page ranking signal. • The update will have an impact on your site's mobile SERPs. • The update will be rolled out in all languages, globally. • This is essentially a mobile algorithm update. So any modifications that you make to your site now, will go live as soon as the Google bot crawler finishes crawling your site. For SEOs, this is great news going forward and just like last year, they effectively used the Mobilegeddon update opportunity to improve the bottom-line of their business. This year too, they can make hay while the sun shines brightly on them. You can probably ask businesses to switch to a completely responsive website that suffices Google's mobile friendly criteria, while businesses with responsive web presence can be asked to get an audit done for their site. The SEO catch here is that no business wants to miss out on a top of the table ranking position in Google searches. So, it’s quite evident that you need to have a responsive website in order to survive in the near future. If you need help with creating mobile friendly / responsive websites, do contact us for assistance. We’ve been offering Google mobile friendly websites for more than 3 years. − Responsive website recognized by Google as mobile friendly. − Click-to-Call, Click-to-Email and Click-to-Text features. − Advanced mobile lead tracking and analytics. Only 2% of click-through shoppers convert on their first visit to an online store. The rest of the 98% visitors have to be brought back through a form of marketing known as Retargeting. If you don't know what retargeting means, it is simply defined as a marketing tactic that enables brands to increase the sales of their product or services by re-engaging the bounced-off traffic (those who didn't purchase on their initial visit to the website). 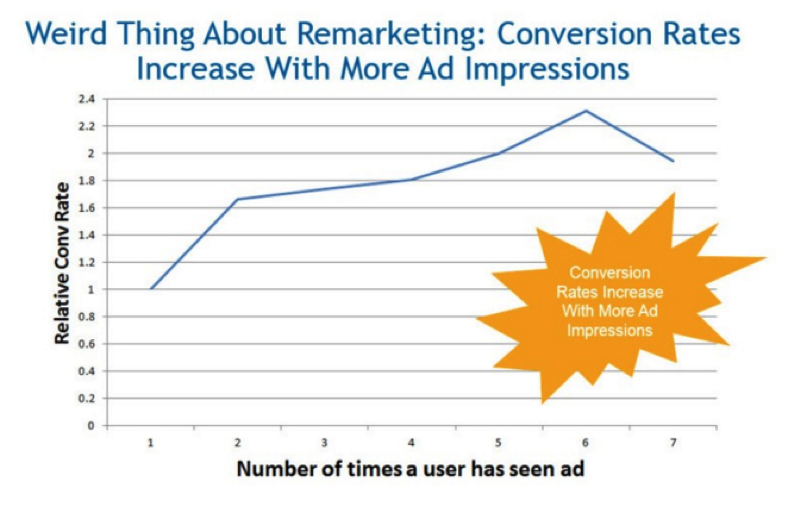 This is the reason why retargeting is fast becoming the go-to tactic for NextGen marketers. It not only enables them to lure more customers to their branded product or services, but it also helps them to increase the market sales of their brand. So if you're a start-up with a mobile app or a business website and have tried your best to avoid retargeting because you thought it's a cheap tactic, then we'll show you five good enough reasons to reconsider it as a part of your marketing campaign. As per reports, only 88% of online marketers are currently leveraging this form of marketing to touch base with their click through visitors, who didn't complete the final act of the sales funnel during their initial visit to the online store. Generally speaking, there is a misconception doing rounds in the marketing world that more the likelihood of a purchase being made, the more your targeting audience get to see your advertisement. But the fact is, if your audience hasn't responded after seeing your advert for the first time, chances are that they never will. On the other hand, if your audience haven't converted after having initial interaction with your advert then it may be because of some or the other reason. As per WordStream analysis, the more you serve the ad impressions to your retargeting audiences, the better your conversion rate. This is because; your prospective customers can be at various stages of a sales funnel. So after their initial interaction with your advert they may do some research before finally making up their mind about the purchase. Needless to say, anyone who clicks on your advert is more likely to have an intent of purchase, if not now maybe in future. So don't let them move away from you. Your pay per click budget also determines the relevancy of your advertising campaign, from your targeting audience's point of view. Typically, a low quality and relevance score invariably increases the advertising budget. So when you touch base with your prospects who have had previous interaction with your advert, there's more likelihood that your retargeting audiences will respond positively to your content as they have already shown a positive intent. This way businesses can maximize their campaign's CTR while simultaneously minimizing their CPC budget. You can better target your audiences on the basis of their onsite behavior or interaction with your web pages. This way you can cut down on serving unnecessary ads to prospects who just aren't interested in a particular product or service. Direct Response Advertising is a complete no-no for brands who don't command authority in their specific industry; since this will only increase the cost of their social media advertising. But if you have an authoritative presence in your industry then the entire process of retargeting audiences gets a bit easier. Branding plays an important role in retargeting your audiences. Businesses with great branding have better recall value in the minds of their customers. So when you hear a business tagline that says “just do it”, you think of Nike and not a toothpaste brand. Likewise, on seeing Golden Arches you automatically link it to McDonald's. Retargeting in a way helps you in terms of your branding concerns by allowing businesses to serve the same content repeatedly over to the same prospects. Consumers tend to forget about brands who fall short in terms of visibility. So if you're not active on social media networks or have no social media presence, there's a likelihood that you'll be out of consumers' minds as well. It's also important to remain fresh in the minds of your consumers so as to differentiate your offerings from that of the other industry specific players. This is because your target audiences are busy with their own lives and in the process if you're not continuously reminding of your existence; there are others players who will take your place. Hence, retargeting will not only help brands remain fresh in the minds of their audiences, but it also helps to increase your customer lifetime value. So, which is the best place to retarget your audiences? According to Google, it has a customer reach of over 90% internet users globally, with over 60% using it services on a daily basis. On the other hand, around 900 million users log into their Facebook account on a daily basis. The social media giant also has an active count of 1.4 billion users worldwide. Both options are unique in terms of their ad network and reach and are the must have weapons in any business's advertising campaign. You need to follow a simple step procedure to leverage your presence on Facebook or Google as a part of your retargeting campaign. Both the mediums offer a tutorial on how to track your site's click-through users. If you've employed a website manager, they can do the needful for you. Retargeting will virtually become an important tool for businesses, since targeted audiences are getting more knowledgeable about the presence of online advertising. So, if you want to leverage retargeting for your business, please contact our sales rep for assistance. Collecting data about customers is imperative to any business. But the process of getting it through forms was incommodious. To sort this out, Facebook launched the lead ads late last year. Lead ads enabled customers to fill out form with a simple click. Now they just have to click on the "subscribe" button and then confirm it by clicking "submit". It didn’t take long for the advertisers to realize how powerful this new ad unit really is. One of the biggest relief Facebook provided with the latest update is that the Advertisers can now duplicate lead ad forms & edit particular fields across ad campaigns. Facebook has increased the number of CRM partners by adding new companies that integrate with lead ads. Also, they have joined hands with Zapier & MailChimp so that advertisers can add Facebook leads to their MailChimp list with ease. To see the current lead ad CRM partners and guidelines, click here. Currently the hottest form of content on the web is “Video content”. So it came as a no surprise when Facebook added videos to the lead ads. It will work similarly as photos, but most likely will engage more audience. Now advertisers can customize disclaimer and can also add hyperlinks. Additionally, Facebook has now made available the lead ads in the ads create tool as well. If you are already utilizing this powerful tool, you now have more reason to love this ad unit, but in case you haven't started employing it and have some doubts, feel free to contact us, our experts will be more than happy to assist you. The now-legacy platform is undergoing a redesign process to make it easier to navigate and use. What are some examples of what’s going to change? There are a few things that can be gleaned from the Google-supplied screenshot below. 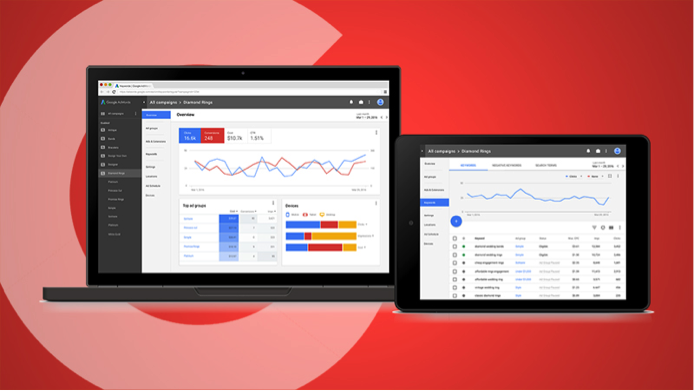 In the image on the left, the Campaigns and ad groups are shown in the left-hand navigation, as they are now, but clicking on an individual campaign brings up a dashboard view that Google is calling an “Overview” screen. Overviews will be available at the campaign, ad group and ad levels. They show a graphical snapshot of performance — kind of like a more narrowly focused and easier-to-read version of the account-level Home screen in AdWords now. In this view, there are four main metrics surfaced with Clicks and Conversions highlighted and charted below. Then there is a Top ad groups snapshot, as well as an at-a-glance view of the performance split across Devices. Another thing you’ll notice in the redesign views is that all of the secondary navigation runs along the left side, parallel to the primary navigation. Options such as Locations, Sitelinks and Devices are surfaced in that navigation rather than buried under Settings. Google says it will be introducing a small number of advertisers to those facets of the redesign that are built starting today. Over the next 12 to 18 months, areas of the redesign will roll out to select advertisers — big and small — for testing and feedback based on the capabilities they’re using. For example, advertisers running video campaigns will see video campaign management views, while others running Shopping campaigns will see that area of the platform. The goal is to have the redesign fully rolled out to all users by the end of 2017.